I feel bereaved, but no-one’s brought me flowers. I am alone throughout the endless hours. I am bereaved, and no-one brings me flowers. I wrote those words many years ago, thirty-five to be precise, at what was, hopefully, the lowest point of my life. Being widowed must be horrendous – to lose a life-long partner is heartbreaking under any circumstances, but I’m speaking from the other side of the fence, one I didn’t understand until it happened to me, and I think that the effects on a person, a family, of being deserted by their partner/parent are often not fully understood by those who haven’t experienced it. I naively thought, when I was young, that divorce was consensual. You fell out of love – you parted. So how could it be that hard except for the children? It didn’t occur to me that one day I would divorce the man I loved most in the world, and will always love, in order to move on and live my life without him. The next sentence is the hardest one I’ve ever written. He left me for another woman and told me he’d never loved me. The latter destroyed me utterly and was a cruelty I can’t forgive, though I would forgive him everything else. Despite that uncharacteristic cruelty, he was a good person. I let him go because I loved him, and I couldn’t bear to see him so unhappy, and it was the hardest thing I have ever done. Later, I knew I should have fought harder for him, for my children’s sakes, and that is a guilt I must live with. There, I’ve said it. Thirty-five years on, and that’s the first time I’ve been able to be so honest. Thirty-five years on and I still can’t say or write her name. She will always be ‘her’. There has been no healing and no forgiveness for ‘her’. Not least because she she’d done this before: stolen a husband, taken the child of his first marriage from him, and then dumped him, taken away his second family, and then taken my children’s father away from them. Five children left, to all intents and purposes, fatherless. Do I sound bitter? Is this surprising? I’ve learnt to live with it and have moved on best I can. I’m not saying that I wasn’t partly to blame. Having total trust in someone is a dangerous thing, and I judge people by my own standards. I’d never been tempted away from the marital home and I was careless of showing the love I thought of as obvious and all-consuming. Never assume that your partner knows how you feel about them, or it may be a lesson learnt too late. The initial effect of desertion is obvious, the hurt of rejection, but there is so much more beneath the surface. Humiliation is but one; to be replaced in the affections of one you love is heart-breaking enough, but self-esteem plummets, you become half a person – I literally felt as though I was dragging myself along with one arm and no legs – and getting through the next two minutes of the day becomes the only important thing, and then the next two minutes, and the next. To think beyond that would be so self-destructive as to be unbearable. I longed for an end to the pain. Any end would have done, but I had two young sons, and I had to go on best I could for them. I didn’t do a very good job of it: I worked eighteen hours a day, prayed each night that I wouldn’t wake up, and came close to becoming an alcoholic. Another guilt I must live with. I’d grown up with my in-laws’ family from a young age. They were my family too, but they had to make a choice, and it was plain where that choice must lay. I don’t blame them for that, but I lost half my closest family members despite their best intentions, a lot of our joint friends, and was viewed with deep suspicion by any woman with an eligible husband. Suddenly, I was a threat, a social outcast, and a family ‘awkward situation’ and that really hurt. I’ll be honest here, I had offers from four married men, and two of them I really fancied – we had a lot in common, and boy, did I need some love and affection – but knowing the hurt it would cause, I couldn’t do that to another woman. I made their husbands friends and kept them on the straight and narrow, told them how lucky they were and to go home to their wives and children. That was my good deed for womankind though I wondered if they deserved their imperfect husbands. To be widowed is different. It’s no less heartbreaking or life-changing, but people rally round, they’re sympathetic, they send flowers, they say nice things about the one you loved, and support you as you say your final goodbye. You get a widow’s pension and state help bringing up your children and nurture what happy memories you have. A person who’s deserted gets no such aid or such compassion, just the knowledge that the one they love is out there somewhere happily oblivious of their pain and that any happy memories have been destroyed. No, that isn’t me being bitter; it’s what happens. My art rescued me, gave me back an arm and one leg, my self-esteem, and after seven years alone, I met a lovely man at a time when I believed I would be alone forever. (He was date number sixteen from a lonely hearts’ column and turned up with my missing leg) It’s never too late to find love again, so never give up hope and don’t be afraid to try again. And yes, it is possible to love two men in your life. 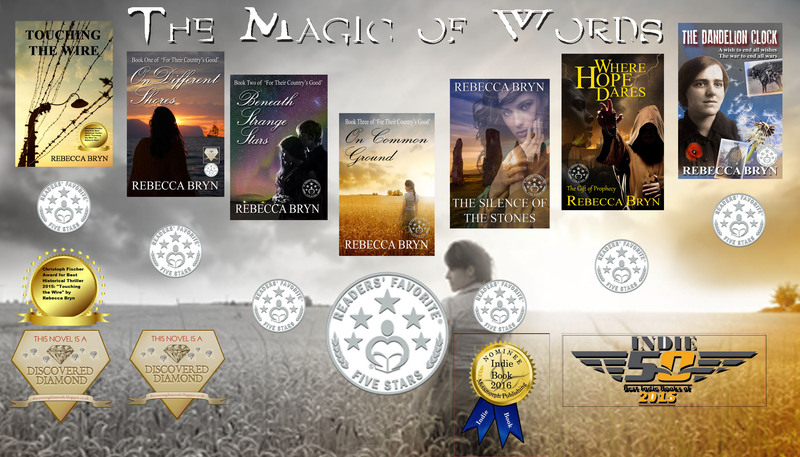 Later in life, my writing gave me a way to explore my inner self by using my experiences to understand my characters, and the trials and tribulations they faced, and how it might affect them – and hopefully to connect to my readers. My characters are braver and more resilient than I was, by the way. So why have I opened my heart? My second good deed; if you’re going through this hell, remember your children are grieving too, and don’t ever give up hope of finding love. The pain and the regrets may never go away, and I promise you, alcohol and anti-depressants solve nothing, but you will find ways of coping with life. And if you know someone who’s recently been widowed or deserted, try to understand the hell they’re going through and the loneliness they feel – we’re pack animals after all like my wolves here. Go and have a chat, stand with them shoulder to shoulder, and take them some flowers.